"SimilarWeb is an online, advanced traffic research tool. Uncover your competitors online marketing strategies with ease." 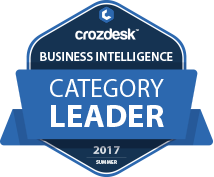 SimilarWeb scored 82/100 in the Business Intelligence (BI) category. This is based on user satisfaction (65/100), press buzz (58/100), and other relevant information on SimilarWeb gathered from around the web.